I am really excited about this post because it features a palette that I've been wanting for a really long time! Sugarpill released the Cold Chemistry Palette a little while back, and I picked one up immediately! I finally got some time to play with it, and it's amazing! I couldn't decide what type of look I wanted to present, so I opted for TWO! The first one is really dramatic with the addition of bold lashes and lenses, and the second one is more "wearable" but still has that "Sugarpill Flare" that we all love about Sugarpill colors. ♥ Sugarpill Baby Dew Drop eyelashes to top lashes. This pair of lashes was glued to a pair of Red Cherry lashes. There you go! It's certainly bold and lots of fun! I think this is an extremely versatile palette with fiercely pigmented shadows. I ♥ it! 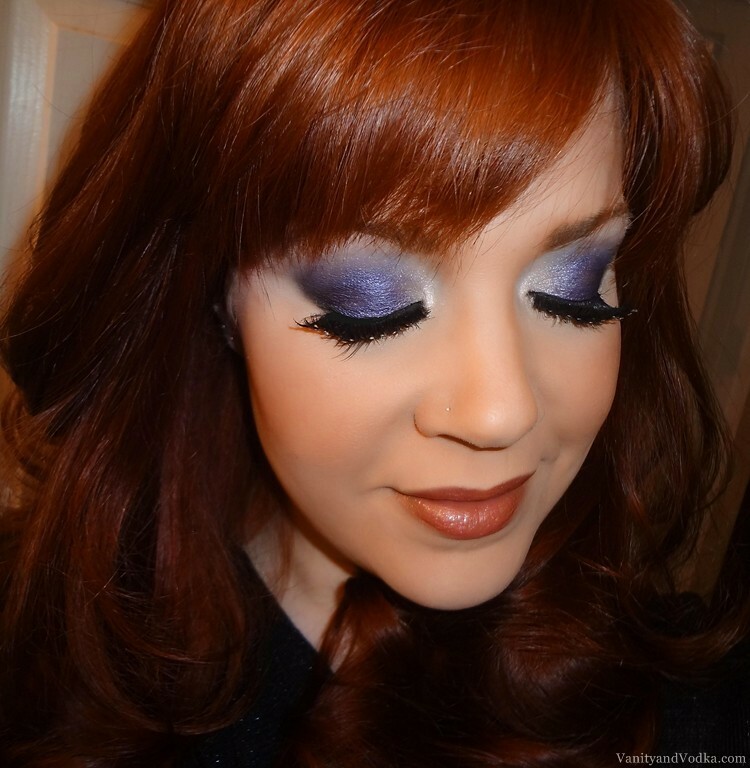 Very nice makeup, I like bold makeup ;) Lashes look very good! Wowzers! You have out done yourself thin time hun. Gorgeous look. Love the lashes, really bring the look together! Holy shoot Colleen! This look is beautiful! Need to get my paws on the palette soon!